Inside Outside Innovation explores the ins and outs of innovation with raw stories, real insights, and tactical advice from the best and brightest in startups &amp; corporate innovation. Each week we’ll bring you the latest thinking in Lean Startup, Design Thinking, Corporate Venture Capital and more. Join the movers, shakers, makers, founders, builders, and doers to help speed up your knowledge, skills, and network. Previous guests include thought leaders such as Brad Feld, Alistair Croll, Diana Kander, Marc Hemeon, Brant Cooper, and more. This podcast is available on: Acast, iTunes, Google Play Music, Stitcher, and InsideOutside.io. Sign up for the mailing list at https://tinyurl.com/y89am9po. 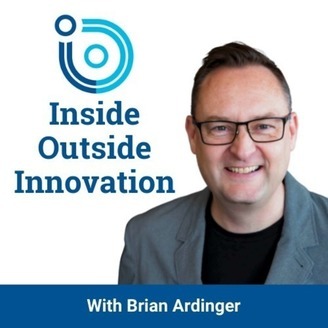 Follow Brian on Twitter at @ardinger or @theiopodcsast.&nbsp;Email brian@insideoutside.io. Jon Katzenbach and Gretchen Anderson are co-authors of The Critical Few: Energize Your Company's Culture by Choosing What Really Matters. 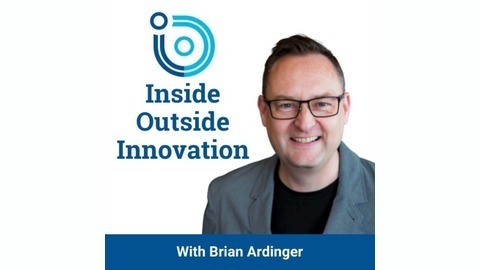 They spoke with Brian Ardinger, Inside Outside Innovation founder, about why culture is important for innovation and how to tap into the behaviors and emotions that can make a significant cultural impact. Their book, The Critical Few, looks at working within an organization and drawing on a company’s strengths, rather than looking at what’s not working. Lessons are written within the story of a fictional CEO, focused on a company’s culture. While there are many universal issues of culture, Jon and Gretchen recognize that all cultures are singular and unique and that people within the company impact that culture. Jon and Gretchen explain that we must identify what the cultural traits are within a company, behavior that is happening around those traits, and who the people are within the company that have their fingers on the pulse of the culture. These elements are the critical few areas that can impact culture. For example, within one large health care organization, the critical behavior was around collaboration. The company narrowed in on this behavior and found those employees doing it well. Once you understand what’s happening in culture, you can develop programs to address these areas. Ideas need to come from people doing the work. Critical Few also refers to the traits that have emotional sources which clients can tap into to create critical behaviors. Behavior also depends on where it’s happening within the company. Focus in on a few behaviors. Follow these traits to a few specific emotions that the company can encourage. The company is reliant on specific people who have tapped into these particular emotions. When identifying cultural traits for companies that want to be more innovative, ask yourself “What would innovation look like given who you are.” It must be how an organization already likes to behave. Jon and Gretchen see relationships between companies that focus on a broader range of metrics and their ability to innovate, and companies that are less hierarchal and their ability to innovate. Companies are saying that they must approach culture with the same effort as strategy and operations. Leaders understand things are changing. Innovation is going to be easier if you also tackle culture issues. To connect with Jon and Gretchen check out https://www.strategyand.pwc.com/the-critical-few. They are also on Twitter and LinkedIn where they post new research and articles they love.